The Red Head Gallery is pleased to present Gorge an exhibition by artist Tonia Di Risio. In her new installation, Tonia Di Risio continues ideas that began with Spread (2017), a series of works adhered directly to the walls of Red Head Gallery. Gorge is one continuous collage that wraps around the main walls of the space. Taking its cues from food, décor, design and architecture magazines, Gorge is a serpentine sprawl formed from bits and pieces of collected imagery, which reflects on the desire for, and consumption of, stuff. Tonia Di Risio employs photography, video, collage and installation in her practice. Her work has developed through a critical engagement with ethnicity, home maintenance, food preparation, and interior design. Her practice also includes organizing a summer residency titled Alchemy, which investigates the growing, making, and sharing of food. 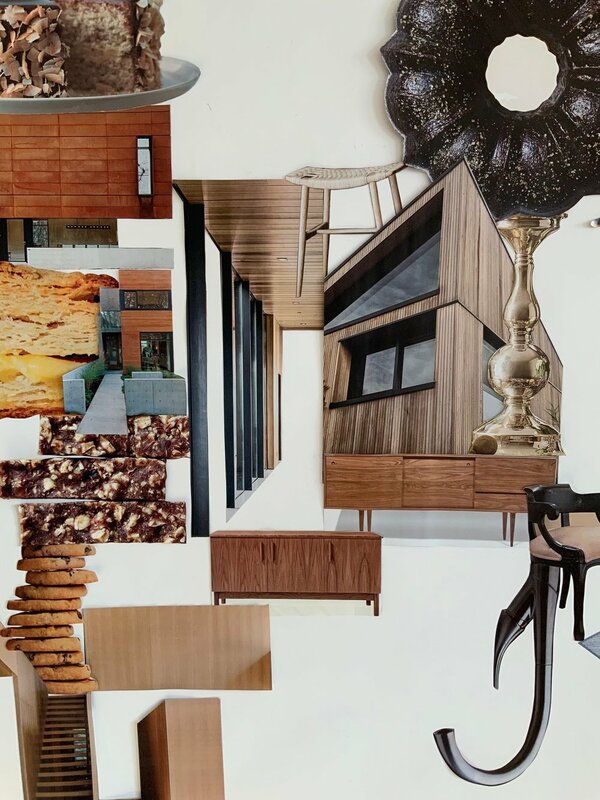 During the exhibition, the Magic Gumball of Fate curated by Catherine Heard and located at Red Head Gallery, will feature an artist multiple collectible by Di Risio from her series of three-piece collages. Gorge is the 40th edition released via The Magic Gumball Machine of Fate. Tonia Di Risio is a multimedia artist. She received a BA in Art and Art History from the University of Toronto and Sheridan College and an MFA from the University of Windsor. She has exhibited across Canada and has been the recipient of Canada Council, Nova Scotia, and Ontario arts grants. Led by Claire Tallarico and Tonia Di Risio, Alchemy, is an international artist residency program devoted to the exploration of the synergy between artistic practices, cooking and the sharing of locally cultivated food.